Below are the minutes of the MVT's South East Area meetings. The minutes book is available for inspection at area meetings (see Diary dates section). Date: 04-04-19. Venue: Aviator, Sywell Aerodrome. Apologies: Richard Hall, Dean Port, Ian Gardiner. Present: Neill Elliott (secretary) and 13 members. The minutes of 07-03-19 were approved and signed. 1 Neill Elliott highlighted forthcoming events including a Spitfire talk at Sywell on April 14. Sywell Aviation Museum re-opens on Easter Saturday, April 20, and it was planned to arrive in convoy. RV at McDonald’s, London Road, Wellingborough, to leave at 0930. 2 The Bank Holiday weekend of May 4-6 brought a date clash with East Midlands Steam Fair at Rushden and, on the Sunday, the opening of Thurleigh Museum. NE proposed a mini-road run to Thurleigh, details to be announced at the next meeting. 3 Peter Clarke said the Gaydon Land Rover Show was on May 11-12 when the museum and reserve collection would be open to participants. 4 NE said six MVs were going to a D-Day event at Chicksands on June 13. 5 Peter Clarke wondered whether the June area meeting should be cancelled as many members, including the officers, would be in Normandy. Or it could be held at the Earls Barton classic car meet. To be discussed next month. 6 June 15 was Northampton Transport Day show in Abington Park but this clashed with a car and bike show at RAF Croughton, to which we had been invited. Most members preferred the Croughton show. As this was an active base, entry must be applied for – Peter Clarke to post details on the procedure for this on the website and via email. The MVT North Oxon Area was also attending. It also clashed with Wartime in the Vale at Evesham. 7 NE confirmed that the Intelligence Museum at JFC Chicksands would be open during their family day on July 20, which made the trip more attractive for us. Details of booking later. 8 Veterans’ families were visiting Grafton Underwood on September 21 and we have been asked to provide MV transport. More later. 9 Caroline Jackson said the Bedfordshire Steam Rally at Old Warden Park was not on this year. 10 Tim Hawkes said Crouch Recovery at Market Harborough, were holding an open day on May 19, 1000-1700 at LE16 7QE. The collection was also to be at Harborough at War. 11 Tim Hawkes said the recent safety training day at Catterick, at which SEM members helped, was successful and that there would be an Armour Day there on May 3 for wheeled and tracked armour. Marshals with 4x4s were needed for the three-day event. 12 NE read out a controversial article on War History on Line about re-enactors and whether they were a pleasure or a pain. Discussion followed. Date: 07-03-19. Venue: Aviator, Sywell Aerodrome. Apologies: Simon Tasker, Roy Shakeshaft. Present: Neill Elliott (secretary) and 13 members. The minutes of 07-02-19 were approved and signed. 1 Neill Elliott went through the local events diary for the next few months. He suggested that for the opening of Sywell Aviation Museum on Easter Saturday, April 20, MVs could meet at the McDonalds in London Road, Wellingborough, leaving at 0945 for Sywell. A convoy to Bicester Heritage for Drive-it Day on April 28 was also discussed; RV point to be arranged at the next meeting. The opening of Thurleigh Museum on May 5 could also be held in conjunction with a road run. Details to be arranged. Richard Hall said the museum would be open 1000-1600 hours and drinks would be available. Several members were supplying WW2 MVs for an event at Chicksands and we had also been invited to the family open day on July 20. It was suggested that more members would be interested if we were given a tour around the Intelligence Museum on the site; NE to look into this. 2 Roy Sharman said a collection at last month’s meeting for a British D-day memorial in Normandy resulted in £52.40 being donated. He showed members a letter of thanks. 3 RS said Rushden Cavalcade on May 4-6 had new organisers, East Midlands Steam Fair, Ring 07877 942533 for an application form. Confusingly the previous organisers, Rushden Historical Society were holding their own event at the station on May 5. 4 RS said he was very disappointed with the amount he collected for the Poppy Appeal in Abington Street, Northampton, due, no doubt to major stores having closed. He suggested some members could collect at the huge Lakes shopping centre near Rushden. After discussion, it was agreed that an invitation from the Rushden RBL would be necessary first. 5 NE introduced guest speaker Gordon Woodhams, MVTSEM member and, at the age of 90, one of our “elder statesmen”. Gordon said he was 12 in 1940 when his school in Alfred Street, Rushden, was bombed by a Dornier, thought to be looking for an airbase. Eight children died but he and his sister survived. He joined the ATC and, when he turned 17 in 1945, he and fellow cadets were taken up for rides in two B-17s, three Ansons, a Dominie and a Lancaster. Just 18 hours after his 18th birthday, he was called up to join the Army and was trained in vehicle maintenance before joining the 13/18 Royal Hussars and embarking for North Africa. He was stationed at Tobruk at a time when there was a lot of Arab unrest due to the creation of the state of Israel. After serving his time, he was shipped to Southampton for demob and had a choice of a new suit or £25. He chose the money! Date: 07-02-19. Venue: Aviator, Sywell Aerodrome. Apologies: Dean Port, Andy Speechley. Present: Neill Elliott (secretary) and 20 members. The minutes of 06-12-18 were approved and signed. 1 Roy Sharman said he attended a meeting of the TTS group and problems expected after Brexit were discussed. These included the need for an international driving licence and a green card for insurance. Tim Hawkes added that the MVT advice was that all MVs going abroad should have an Open General Export Licence (OGEL). This easy to apply for online and did not have to be renewed. 2 Roy Sharman said the TTS group was supporting a British D-day memorial in Normandy and SEM members donated money to add to the total. 3 Peter Clarke asked for a show of hands for the Easter Saturday Sywell Aviation Museum reopening and 15 members showed an interest. 4 Steve Myles promoted an open day at the American base at Croughton on June 15 and six members were interested. 5 Tim Hawkes said the MVT safety training day would be at the Help the Heroes rehab base at Catterick, Yorkshire, on March 24. All were invited to attend. 6 Tony Patrick suggested a few meetings at Sywell on Sundays and at the Earls Barton classic car meet. 7 Peter Clarke said the RBL had invited all those who helped with the Poppy Appeal to a thank-you meal at the Conservative Club, Billing Road, Northampton, on Saturday evening (February 9). Kevin Lamberth and Tim Cross were going. 8 Tim Hawkes said he had attended planning meetings for Harborough at War, which was proceeding well. The Crouch Collection of up to 70 trucks were to be there along with rare machines from Armourgeddon. 9 Richard Hall said the long-time curator of the Thurleigh Museum was very ill and he had joined a new committee to keep the museum going, with support from landlord Palmer Sport. The museum would reopen on May 5 and 15 members showed an interest in attending. Richard was thanked for helping this important museum to keep going. 10 Tim Hawkes said those on the D-day tour would need to arrange their own public liability insurance, as the MVT’s PPLI did not apply. 11 Neill Elliott joined the meeting and gave his annual report. He was pleased with the way the area had progressed and mentioned highlights such as Roger’s Road Run, Armistice Road Run, Wicksteed at War and guest speakers, including Lancaster pilot Rusty Waughman, who attracted an audience of 110. More members had joined the area and he thanked Ian Gardiner, Peter Clarke, Tim Hawkes, Kevin Lamberth, Tim Cross and John Underwood for their particular support. The depth of help proved that it was not just the secretary carrying the area. 2019 would be a big year for green machines with VE-day celebrations and Harborough at War. 12 Neill Elliott was re-elected secretary, Ian Gardiner chairman, Peter Clarke webmaster, all unopposed and unanimous. Kevin Lamberth volunteered to be deputy webmaster. 13 Neill Elliott said we ought to be mindful what we posted on social media in the name of the MVT and not bring the club into disrepute. Other area secretaries he had met were having trouble over this. 14 Tim Hawkes reported on the fall-out from the Laycock at War issues and said the club had agreed with the Charity Commission a set of guidelines for future MVT shows. 15 Tim Hawkes said he hoped that the club shop would be available soon on line. 16 Kevin Lamberth said if any members wanted pictures of their machines from Roger’s Road Run, they should email him with the machine’s make and registration number. 17 There were four entrants in the area’s Top Traveller Trophy for the most miles covered in an MV to and from shows in 2018. Fourth was Neill Elliott (Dodge Weapons Carrier) with 55 miles, third Peter Clarke (Land Rover Lightweight) with 1,024 miles, second Brian Rive (Jeep) with 1,151 miles. Winner was Ian Gardiner (GMC) with 1,845 miles, most of them on the Red Ball Express run. Date: 06-12-18. Venue: Aviator, Sywell Aerodrome. Apologies: None. Present: Neill Elliott (secretary) and 19 members. The minutes of 01-11-18 were approved and signed. 1 NE welcomed new member John Boyes who has a Willys MB. 2 Guest Vaughan Glynn from the RBL said Northampton had raised a record £134,000-plus for the Poppy Fund. 3 Tim Hawkes said the MVT’s membership database had been moved to a company in Northampton which was now dealing with all membership inquiries and he hoped for a big improvement in service. 4 NE reminded owners of Allied WW2 vehicles to enter the MVT’s Wilkinson Sword mileage competition and said that Brian Rive would have easily won last year had he entered. Only UK mileage is allowed. He also reminded members of our own Top Traveller trophy for vehicles of all ages. Mileage to be produced at February’s meeting. 5 Peter Clarke said there had been no change in the area’s temporary website saga as plans for a revamp of the MVT’s website structure were behind schedule. 7 Tim Hawkes said that the MVT training days in 2019 were likely to be in the north and south of the country and not at Armourgeddon. 9 NE reminded members of Roger’s Road Run on January 20 and said the next meeting would be the area AGM on February 7. Date: 01-11-18. Venue: Aviator, Sywell Aerodrome. Apologies: Ian Gardiner, Tim Hawkes, Martin Sansom, Matt Smith, Roy Sharman, Tim Cross. Present: Neill Elliott (secretary) and 13 members. The minutes of 04-10-18 were approved and signed. 1 NE said Ian Gardiner, Tim Hawkes and Martin Sansom were at Market Harborough for the first meeting of the events team for the big military weekend in August, 2019. The MVT was helping with organising MVs for the event. Tim Hawkes to report back at the next meeting. 2 NE said he had signed up to daily emails from a website called War History on Line and he recommended this to members. 3 NE reminded members about Rusty Waughman’s talk at Sywell on November15 about the Berlin Airlift. This was being organised by Sywell Aviation Museum and there was a £5 entrance fee. 4 NE recounted the saga of his importing a 1942 Dodge WC51 from Norway and the hurdles he had to overcome. He hoped to have Weapons Carrier on the road soon. 5 Peter Clarke said Roger Higgerson had been in touch regarding Roger’s Road Run, which was to be on January 20, 2019. He said the run had its origins in Steve Gascoigne’s green lanes outings post-Christmas and therefore dated back to 1986. Details were on the area website. 6 Peter Clarke said a sale of uniforms donated by Northampton Army Cadets raised £17.99 for the Warwickshire and Northamptonshire Air Ambulance and showed members a receipt. 7 NE promoted the Christmas buffet, quiz and Secret Santa on December 6 and members present who were going paid £10 per person. Peter Clarke to email membership with a reminder and to ask for names. 8 NE said he was pleased that the area was thriving due to a team effort which included road runs, poppy collections etc. He would welcome more ideas for events or speakers. 9 NE promoted Operation Poppy in Northampton Town Centre on November 3 and 10. George Jackson said he would be displaying in Milton Keynes. John Underwood said he had attended with three other MVs the launch of Corby’s Poppy Appeal. 10 John Underwood said he had bought a 1941 Matchless and had already broken it. 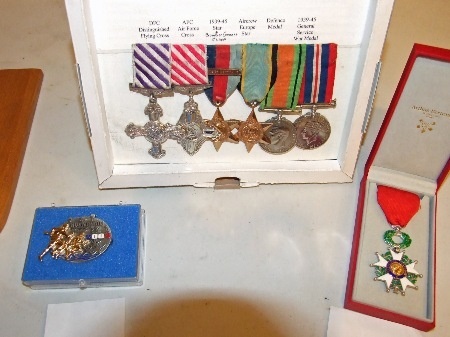 11 John Underwood outlined details of his Armistice Road Run on November 11. Weldon RBL had received a grant and were putting on a display and lunch at Weldon Village Hall. 12 George and Caroline Jackson recommended an event at Brooklands, Surrey, on November 18. Date: 04-10-18. Venue: Aviator, Sywell Aerodrome. Apologies: Roy Woods, Simon Tasker. Present: Neill Elliott (secretary) and 23 members and guests. The minutes of 06-09-18 were approved and signed. 1 Neill Elliott introduced our guest speaker Ria Jefferies who spoke about wartime rationing in the home. Ria provided several tasty treats including specially blended wartime coffee, carrot and parsnip cake, and pumpkin scones and tea. She spoke about keeping chickens, the community pig, the WI Jam Busters and the Women’s Home Guard. Ria received well-deserved applause from members and guests. We charged everyone £3 and, due to the good turn-out, our speaker’s fee was covered. 2 NE said he would ask Peter Clarke to send out an email to members about SEM events. 3 NE highlighted Poppy selling in Northampton town centre on November 3 and 10, from 10am. 4 John Underwood mentioned his Armistice Road Run on Sunday, November 11, and handed out flyers. Date: 06-09-18. Venue: Aviator, Sywell Aerodrome. Apologies: Tim Cross, Richard Hall, Kevin Lamberth, Roy Woods, Ian Gardiner. Present: Neill Elliott (secretary) and 11 members. The minutes of 02-08-18 were approved and signed. 1 Neill Elliott offered the area’s condolences to Brian Rive, his mother and his sister on the unexpected death of Brian’s father John, who often accompanied Brian to meetings and events. He had sent a card on behalf of the area and Ian Gardiner is using his GMC is to take John’s coffin to Kettering Crematorium. 2 NE said the Silent Soldier had been generously purchased on behalf of the area by Dean Port. Peter Clarke was asked to liaise with Dean to get the Silent Soldier to Stoke Bruerne and Gaydon shows. 3 NE said there were several MVs at the RBL’s Henlow Fun Day but they were not from our area. 4 John Underwood said the Poppy Road Run would be on Sunday, November 11. We would meet at his house at Carlton, near Corby, for breakfast before leaving for the service at Weldon. We would then have a road run before heading back to Weldon where the RBL was putting on lunch for us. After lunch would be another run, probably to Grafton Underwood Memorial. More details later. 5 NE said Poppy selling would again take place in Northampton town centre on Saturdays, November 3 and 10. Tim Cross was liaising with the council and RBL. Caroline Jackson said George Jackson would be selling poppies in Milton Keynes and those in that area could join him. 6 Peter Clarke promoted Gaydon Military Show on Sunday, September 30, and said he had located a layby near Weedon for us to meet before leaving for Gaydon at 0830. NE to arrange MVT insurance cover. Tim Hawkes said he would pass PC’s contact details to the show organiser. 7 NE said there would be a speaker at the October meeting who would demonstrate Home Front cooking and provide treats for us. After discussion, it was decided to charge £5 per head to cover the speaker’s fee and food. Members were urged to bring partners and guests. 8 NE said Rusty Waughman, the Lancaster pilot who gave us a terrific talk earlier in the year, was returning on November 15 to relate his part in the Berlin Air Lift. The admission would be £5, with proceeds going to the RAF Benevolent Fund. Sywell Aviation Museum was organising the event, as the subject was aircraft-related. 9 Brian Rive said he enjoyed the Victory Show, particularly the aircraft element. NE said there was a para-drop from a Dakota. 10 Tim Hawkes said there had been little progress on arranging an event at the Cambridgeshire home of a Lottery winner and it was probably too late for this year. After discussion, Martin Sansom volunteered to look into using the venue for a 2019 crank-up event. 11 NE asked who was interested in the Chicksands D-day event next year when 4-6 period vehicles would display during a reception for veterans. Enough volunteers came forward for NE to make a definite commitment to Chicksands. 12 Tim Hawkes reported on the Laycock at War “Nazi” controversy, which caused headlines in national papers. After investigation the MVT found that 90 per cent of the allegations were untrue but nevertheless the Charity Commission became involved and wanted answers to certain questions. TH forecast that there would be drastic changes to the MVT’s German re-enactor policy next year. 13 Tim Hawkes and NE promoted a large event at Market Harborough in early August next year which would involve a showground and the whole town. TH said that as there was no Wicksteed at War in 2019, some of the inertia could be diverted to Market Harborough. 14 Peter Clarke explained why he was forced to create a new, temporary area website, pending the MVT’s overhaul of the main website, which could include satellite sites for areas. Date: 02-08-18. Venue: Aviator, Sywell Aerodrome. Apologies: Tim Cross, Gary Stock, Alan and Linda Farren. Present: Neill Elliott (secretary) and 19 members. The minutes of 05-07-18 were approved and signed. 1 War & Peace: Roy Sharman said he was impressed with the facilities, however Simon Tasker was not and had hired his own toilet! Tim Hawkes and Neill Elliott said the show was improved and it was like the old times of 10 years ago. 2 RIAT: Tim Hawkes reported that 40 MVT vehicles were displayed at the world’s biggest air show and were well received. He was aiming for 70 next year. Details are on the events section of the MVT main website. 3 Bramcote Camp: Steve Myles and Roy Woods attended the open day where there were Gurkhas and the Army’s modern vehicles on display. 4 Neill Elliott asked if the area should buy a “Silent Soldier”, a silhouette of a WW1 soldier provided by the RBL. Dean Port said he would sponsor this. The silhouette could be taken to RBL events. 5 Neill Elliott promoted the Equata event at Grafton Park on August 11. 6 Neill Elliott said we had been approached by the RBL to attend several events, which included a Fun Day at Henlow on September 2, a “Saying Thank You” event at Northampton on September 1 and a Bedford Honour Walk on August 12. 7 Steve Smith said there was an open day at Harrington on Saturday, September 1, to celebrate the 25th anniversary of the opening of the Carpetbaggers Museum. MVs were welcome. Peter Clarke to put details on the area website. 8 Neill Elliott asked whether members wanted a talk from an expert on the Home Front and this was agreed. 9 Neill Elliott and Ian Gardiner gave a slide presentation on their participation in this year’s Red Ball Express, run through France, Belgium and the Netherlands. They covered 1,266 miles in Ian’s Jimmy at an average of 8.8mpg, spending £800 on fuel. 10 Tim Hawkes said the MVT was keen to get involved with the Gaydon Military Show on September 30. Peter Clarke asked whether we could arrive in convoy. He said if members booked on line, entrance was free. 11 Tim Hawkes mentioned a D-Day event at Chicksands next year and several members were interested. 12 Neill Elliott said that Sywell Aviation Museum was talking to Rusty Waughman about a talk on the Berlin Airlift. 13 Tim Hawkes said the MVT had been approached by a Lottery winner who has invited members to use and display MVs on his vast estate at Linton, near Cambridge. September 15-16 was suggested. 14 Neill Elliott said it was great to see three Jeeps in the Aviator car park. Simon Tasker also arrived on his H-D MT350 motorbike. Date: 05-07-18. Venue: Aviator, Sywell Aerodrome. Apologies: Ian Gardiner, Neill Elliott, Tim Cross, Mike York, Tony Patrick. Present: Peter Clarke (webmaster) and 11 members. The minutes of 05-06-18 were approved and signed. 1 Wicksteed at War debrief: Tim Hawkes said the show had been very successful with record numbers of vehicles, re-enactors and traders. Around 18,000 people attended. 250 children came to the Friday education day. He thought the fire engines were a big attraction. He thanked the volunteers who did a good job but said a rota of duties, which he asked for, was sadly missing. There were eight medical incidents, mostly sun-related and none of them show-related. However, the first aid requirements needed reviewing. He apologised for his actions during the last battle when the German re-enactors went off plan. The CoM held a formal inquiry but decided that no further action was necessary. There would be no Wicksteed at War next year as most of the organisers would be in France. They would decide in June whether to resume the show in 2020. Next year there was a large event planned at Market Harborough and the area could perhaps support this. Roy Sharman said there was a lot of food, provided by Lynn, left over as many didn’t know about it and went hungry. Peter Clarke said the food arrangements were flagged up in the previous minutes and were available on the area website. 2 Peter Clarke said Mike York had attended Syresham Scarecrow Festival, after a request for vehicles, and was made welcome. 3 Brian Rive and Simon Tasker said Wartime in the Vale was very good and starred a replica WW1 tank. 4 Five members attended Armed Forces Day on Northampton Market Square and the Mayor had his picture taken standing by Mike York’s Jeep. Peter Clarke said he was disappointed that, although there were hundreds of Cadets on parade, there were no Regulars or Reserve Forces. Kevin Lamberth said the RBL had also commented on this. 5 Brian Rive said he enjoyed Shuttleworth Military Pageant. Peter Clarke said that several SEM members attended but it was shame that no attempt was made to make it a SEM event and arrive in convoy, as we did in 2015. 6 Peter Clarke flagged up the Bramcote Camp event and Steve Myles said he would attend. PC to pass on his details to the organisers. 7 Tim Hawkes said 36 MVT members from all over the country would be atRIAT. 8 Three members said they were going to War and Peace. 9 The area secretary and chairman were both absent as they were taking part in the Red Ball Express event. Kevin Lamberth asked whether they could prepare a presentation for the next meeting. 10 Peter Clarke said the company which hosted our area website was changing the software but its introduction had been to postponed three times, which didn’t bode well. Tim Hawkes said the CoM was proposing to have area websites under the umbrella of the main MVT website, which could make things easier for us. 11 Roy Sharman flagged up Earls Barton Transport show on August Bank Holiday and had entry forms. 12 Roy Sharman said he thought that the Chicksands show last year was a waste of time as the Intelligence Museum was closed and there was no point in attending this year. Kevin Lamberth said he knew the curator and would try to arrange a tour for us. 13 Peter Clarke flagged up Gaydon Military Show on September 30. Tim Hawkes said the MVT was getting behind this and he had been talking to the North Oxon and Cotswolds Area. To be discussed next month. 14 Tim Cross has sent pictures to CMV magazine of the Deenethorpe visit. 15 Tim Hawkes flagged up an armoured vehicles event at Catterick on May Bank Holiday 2019. There were details on the main MVT website. 16 Tim Hawkes reminded members going on the D-day tour next year to get their export licences. 17 Tim Hawkes reported from the CoM and said the MVT was growing by about 50 members per month and was now the biggest MV club in the world. He put this down to the PPL insurance we offer. A new company, based in Northampton, had taken over our database and membership renewals and he hoped this would be an improvement. Date: 05-06-18. Venue: Wicksteed Park. Apologies: Ian Gardiner, Tim Cross, Simon Tasker. Present: Neill Elliott (secretary) and 20 members. The minutes of 03-05-18 were approved and signed. 1 NE flagged up a show at the Shuttleworth Collection on July 1. 2 Roy Sharman mentioned Hollowell Steam Fair where pre-registration was necessary. 3 Peter Clarke asked for vehicles for the Armed Forces Day in Northampton on June 30. He, Mike York, Steve Myles and Brian Rive to attend. 4 Roy Sharman said the Earls Barton Steam Rally had closed but the date had been taken by a transport rally at the same venue in August. 5 Tim Hawkes and Dave Wright outlined procedures for Wicksteed at War 2018, including duties of the main officers, safety, displays etc. Around 50 stalls were expected and the event had generated 62 risk assessments. NE asked that volunteer helpers report to the MVT trailer to assigned duties. Linda would be again be doing a fish and chip run on Friday evening and providing sandwiches on Saturday and Sunday lunchtimes. There was no SEM barbecue on Saturday but Wicksteed was putting on a barbecue nearby. Date: 03-05-18. Venue: Aviator, Sywell. Apologies: Tim Cross, Gary Stock, Ian Gardiner, Steve Smith. Present: Neill Elliott (secretary) and 19 members. The minutes of 05-04-18 were approved and signed. 1 Neill Elliott welcomed new members Gary Agutter and his son Dan who have a Dodge WC63, and later also welcomed new members Gary Morgan and Hayley. 2 NE said Drive-it Day at Bicester Heritage was very enjoyable and was the first outing for Ian Gardiner’s GMC. Peter Clarke said Bicester were keen to get military vehicles to their Flywheel event on July 23-24 but the cost would be at least £35 per person for a two-day pass. He thought being charged so much to be part of the display was not on. After discussion, NE said that the North Oxon and Cotswolds Area had been granted free admission last year, after a last minute appeal for vehicles. 3 Farewell to Deenethorpe: Richard Hall said he was astonished at the turn-out out of 50-plus vehicles despite the appalling weather. A vote of thanks was given to Tim Webster who organised the event. Kevin Lamberth also thanked the team who provided teas and coffee. Brian Rive said the land owner had told him that some of the wartime buildings would be preserved and a museum created. The memorial would be re-sited. 4 NE said the MVT AGM at Coventry was attended by five SEM members, the most any area fielded. 5 NE said the Rusty Waughman talk was stunning and members agreed, recording a vote of thanks to NE for organising it. Roy Sharman said, while he greatly enjoyed the talk, he was disappointed at the lack of bar staff in the Aviator, making it very difficult to get drinks. He also thought there should have been a £5 charge for non-members to go to the RAF Benevolent Fund. NE said £255 was collected for the charity but he would take on board his comments. Rusty was willing to give another talk, this time about the Berlin Air Lift, and perhaps it could be a joint production with Sywell Aviation Museum. 6 Roy Sharman said Orlingbury village was having an event on July 14-15 and MVs were welcome. Contact Trevor on 07979 896692. 7 Kevin Lamberth said administrative errors meant he still didn’t know how much SEM had raised in 2017 Poppy Appeal collections. A new RBL team had now taken over taken the appeal in Northampton. 8 NE led discussion about the Top Traveller Trophy. It was generally thought that more modern vehicles had a distinct advantage when it came to clocking up miles. Tim Hawkes suggested that the trophy could be given to someone who had contributed the most to SEM during the year or for a notable feat. 9 NE said several members were going the Land Rover Show at Gaydon and mentioned the Army open day at Bramcote. 10 Tim Hawkes said there were still places for RIAT on July 13-15 and members could book via the main MVT website. 11 John Underwood said he and Judith would again organise a Poppy Road Run on November 11. It would take in two memorial services. He also mentioned a 40s day at East Carlton Park on August 1 followed by a Transport Gala on August 4-5. 12 Tim Hawkes said 146 MVs were booked for Wicksteed at War and more were flooding in. 43 stalls had been booked. The theme was RAF and he outlined the attractions expected. There would be a final meeting at the Park on Tuesday, June 5, which would take the place of the normal area monthly meeting. Volunteers were welcome to arrive and help out from Monday, June 4. Free camping and caravanning for volunteers was available, as last year. There would be a Friday night Purple Heart disco, a Saturday night barbecue for SEM members and a Saturday night Victory Dance. There would be a rota for marshals at the booking-in area. Andy Speechley outlined arena events. Peter Clarke asked about traffic arrangements bearing in mind the gridlock last year and Tim said that the new management team at Wicksteed was aware of the problem and had promised to sort it. Tim said that there would be no show in 2019 as a lot of members would be involved with the Normandy commemorations. 13 NE said he had been approached by organisers of a military-themed event at Market Harborough planned for August next year. There was a huge show field and the possibility of vehicles being displayed in the town itself. Members gave this their support. Date: 05-04-18.Venue:Cirrus Room, Aviator, Sywell. Apologies: Simon Tasker and Martin Samson.Present:Neill Elliott (secretary) and around 100 members and guests. The minutes of 01-02-18 were approved and signed. 1 Neill Elliott outlined some pending local events, including Drive-it Day at Bicester Heritage, Rushden Cavalcade, Earls Barton classic car meet and the MVT AGM at Coventry. 3 NE welcomed our guest speaker Rusty Waughman and said it was an honour and a privilege to meet him. Lancaster pilot Rusty, aged 94, of 101 Special Duties Squadron, RAF, was one of the lucky ones who returned from the infamous Nuremberg raid on March 30, 1944. More Allied aircrew died in that single night than the total RAF losses during the whole of the summer-long Battle of Britain. He told the packed room that he joined the LDV aged 16 in 1939 and when he turned 18 volunteered for the RAF. He had been a sickly child, surviving two potentially terminal illnesses, including TB, so was surprised to be selected for pilot training. He was sent to Canada to learn to fly on de Havilland Tiger Moths, Boeing Stearmans and Airspeed Oxfords. Returning to the UK on the Queen Elizabeth liner, he progressed to Wellingtons, Halifaxes and then Lancasters. He was posted to 101 Squadron in 1943, completing 30 ops. Because of its special duties in jamming German night fighter radar, his squadron had the highest attrition rate in the RAF, losing up to 60 per cent of its strength. Rusty’s crew was the first to survive a complete tour of duty for six months. After his tour he became an instructor, staying on in the peacetime RAF and flying on the Berlin Airlift. Rusty received several deserved applauses after his talk and question and answer session. NB: The March meeting was cancelled due to snow. Annual General Meeting Date: 01-02-18. Venue: Aviator, Sywell. Apologies: Heather Bailey, Alan and Linda Farren. 24 members present. The minutes of 07-12-17 were approved. 1 Neill Elliott welcomed prospective new member Roy Shakeshaft. 2 Ian Gardiner said that for personal reasons he was standing down as area secretary and nominated Neill Elliott as his successor. Members voted unanimously to elect NE as secretary. 3 NE resigned as chairman and proposed IG as his successor. Members voted unanimously to elect IG as chairman. 4 NE thanked PC for his work on the website and proposed him as webmaster for a further year. There being no other nominations, this was accepted unanimously. Heather Bailey was re-appointed deputy webmaster. 5 NE said that at the Christmas party £55 was collected for a charity nominated by John Underwood as a way of thanking him and Judith for organising the Poppy Road Run and refreshments. 6 The buffet cost had a shortfall of around £80, which led to discussion on funding events which could not be funded by MVT central funds, ie, Christmas party and summer barbecue. After debate it was decided that those who attended for functions should pay for them themselves. 7 IG produced a magnificent trophy made of gear cogs from a Jordan F1 car. The MVT SEM Top Traveller Trophy was awarded to an affiliated SEM member who had travelled the most miles during the previous year to and from events in an MV of any age. Fourth was Steve Smith with 604 miles, third Peter Clarke with 936 miles, second Brian Rive with 1,203 miles and the winner was Simon Tasker with 2,096 miles in his ex-USAF Dodge Ram. 8 Tim Cross thanked members for his get well card. 9 Roger’s Road Run was voted a great success and Richard Hall thanked members for their efforts to get his stricken Jeep repaired. 10 IG said the Stoneleigh Militaria show was very busy and Tim Hawkes said they had given out thousands of leaflets advertising Wicksteed at War. 11 IG said he had been approached by Tim Webster who was helping to organise an event on April 28 to mark the final closure of Deenethorpe airfield. A dozen members said they wanted to attend. 12 NE outlined plans for the Easter Saturday, March 31, opening of Sywell Aviation Museum. Around 10 members said they would attend. 13 TH said the MVT safety day at Armourgeddon was on March 11 and would last until around 2.30pm. Areas covered would be fire-fighting, vehicle marshalling, Wicksteed at War, radio usage, data protection and first aid. Other area secretaries and the CoM had been invited. Hi-vis vests would be awarded to those completing the course. 14 IG said the Bicester Scramble was on April 22. 15 NE said the March meeting would include a talk by ex-Lancaster pilot Rusty Waughman. Sywell Aviation Museum members were also invited and the meeting might be in the Cirrus Room of the Aviator. 16 NE said he hoped SEM members would attend the MVT AGM at Coventry Transport Museum on April 8. PC said the museum was well worth a visit. 17 Kevin Lamberth said new people were in charge of the RBL Poppy Appeal in Northants and he still was not able to give us an idea about how much was raised by members. 18 Members brought military-related items to sell. Date: 07-12-17. Venue: Aviator, Sywell. Apologies: Simon Tasker, John Underwood, Ian Gardiner, Roy Sharman, John Denney, Martin Samsom.Present: Neill Elliott (chairman plus 16 other members. 1 NE reminded members that Roger’s Road Run was on Sunday, January 14. Details on the area website. 2 NE said there was no meeting in January but the February one was the AGMas well as a “Sywell digout” bring and buy sale. Bring any items you have for sale. PC said the Army Cadets had given him a load of old uniforms and he would be selling these for charity. 3 NE said the Poppy Road Run had been a great day out and John and Judith Underwood’s hospitality had been second to none. He circulated a thank-you card to be signed by members. As John would take no money for his expenses, NE suggested that members contribute to a charity of John’s choice. PC said Weldon Royal British Legion were very pleased with our turn-out at their remembrance service and he had sent them some photos to be used in their newsletter. 4 NE said that Charity Commission rules meant that the cost of the buffet could not be met from the club’s funds, as these were for educational and administration purposes only. He suggested a £10 per head contribution towards the cost. Going forward, the matter of raising funds for expenses such as the Christmas buffet or a barbecue would be raised at the February meeting. 5 Kevin Lamberth volunteered to set the quiz for next year. This year’s quiz was won by George Jackson and Tim Hawkes. We then enjoyed a tasty buffet! 6 PC thanked NE for arranging the quiz. 7 PC reminded members to bring details of their MV mileage to the February meeting for the Piston Cup. This is open to all MVs, whatever their age, and is for mileage travelling to and from show, meets and other events where their vehicle was on display. Members must be affiliated to the SE Midlands Area to take part. NE said IG had made a suitable trophy. 8 PC said the area website had topped 10,000 hits but he still needed contributions for the members’ vehicles section. Date: 02-11-17. Venue: Aviator, Sywell. Apologies: Peter Clarke, Simon Tasker, Allan and Linda Farren, Heather Bailey. Present: Ian Gardiner (secretary) plus other members. The minutes of 05-10-17 meeting were approved and signed. 1 Mike Garnet from Chicksands gave an excellent talk about D-day and the significant events leading up to the battle over the bridges at Arnhem. He also recently took part in a parachute drop over Arnhem and filmed it . . . seriously frightening. 2 Tim Hawkes outlined plans for Wicksteed at War 2018. The main theme will be 100 years of the RAF and he hopes to have a large number of aircraft on display, together with the Nursing Yeomanry horses. 3 Tim Cross confirmed details for poppy day and John Underwood for his Poppy Road Run on Sunday, November 12. 4 IG reminded all to bring a small item for the secret Santa gifts for the next meeting. Date: 05-10-17. Venue: Aviator, Sywell. Apologies: John Denney, Simon Tasker, Tim Cross, Heather Bailey, Richard Hall. Present: Ian Gardiner (secretary) plus 17 other members. The minutes of 07-09-17 meeting were approved and signed. 1 IG relayed to members the gist of a letter he had received from MVT chairman Simon Johnson. There had been no change to membership numbers following the adoption of Personal Public Liability Insurance (PPLI). Coverage was for members displaying MVs or equipment or with other vehicles as part of a military display, ie, a civilian car used as a Home Guard vehicle. Members must stick to the MVT Code of Conduct (available on the main MVT website) when representing the club. Tim Hawkes added that some parts of the Code, ie the parts relating to the use of uniforms and flags and emblems were being reviewed. IG said that new data protection guidelines would come in next year and would have an impact on the area website. The MVT was running at a loss but there were plans to break even by 2020. Grants to shows would only be made to events accepting entries from all MVs, not just wartime. TH added application for grants must come from the area secretaries. IG said vehicle verification was getting more difficult because of stricter DVLA rules. Non-members and dealers may be charged more for this service. 2 Names were taken for those willing to take part in the Poppy selling in Northampton town centre on November 4 and 11 and also for the Poppy Road Run on November 12. 3 Peter Clarke said he attended the British Military Weekend at the British Motor Museum, Gaydon, on Sunday and met members of the North Oxfordshire and Cotswolds Area. They proposed putting on a joint show or supporting an existing one. PC suggested that the British Military Weekend was a good candidate and could be used as a crank-down event. Camping was available, the museum was open free to participants and facilities such as toilets and a restaurant were in place. IG said he would liaise with Tony King, the events’ organiser for North Oxon and Cotswolds. 4 IG passed around an email from a member who was trying to trace a Leyland Hippo. 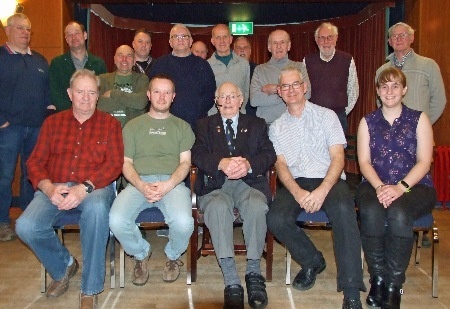 5 IG said November’s meeting included a talk by Mike Garnett on Arnhem. December’s meeting would include a quiz, food and a secret Santa. 6 IG said he would like to see more members’ vehicles featured on the area website and pictures and information should be sent to PC. 7 Neill Elliott showed some film clips of post-war vehicles being displayed and tested. Date: 07-09-17. Venue: Aviator, Sywell. Apologies: John Denney, Simon Tasker, Tim Cross, Martin Sansom, Tim Hawkes. Present: Ian Gardiner (secretary) plus 18 other members. The minutes of the 03-08-17 meeting were approved and signed. 1 Members reviewed summer events they had attended, including the Grafton Underwood riding for the disabled, War and Peace, RIAT, Milton Keynes Museum 40s weekend, John Marchant’s 90th birthday and Tanks, Trucks and Firepower. Gary Stock said the toilets at War and Peace were disgusting and there were not enough showers. He expected more for the £35 entrance fee. RIAT was spectacular but members who camped in the car park with their vehicles had to queue with members of the public to get in. A fast-tracking system was needed. Roy Sharman thought John Marchant’s 90th celebration was too low key and he would have liked more activities. It was pointed out that the event was organised by John’s family and perhaps this was what he wanted. 2 Events this weekend included Stoke Bruerne Village at War, the Victory Show and Goodwood Revival. 3 Gary Stock commented that he thought it wrong that owners of heavy armour should be paid to attend shows when owners of soft-shinned vehicles were not. A pro-rata system was needed, he said. 4 John Underwood gave details of this year’s Poppy Run on Sunday, November 12. All were welcome but he would appreciate approximate numbers at the October meeting. Peter Clarke was asked to post details on the area website. 5 JU said there was a British Military Weekend at Gaydon Museum on September 30-Octover 1 and MVs were needed. 6 IG said MVT member and serving Warrant Officer Mike Garnett would be giving a talk at the November meeting on Operation Market Garden and Arnhem. 7 IG was still hopeful that Richard Grace would give us a talk about his family’s Spitfire and a tour around their Sywell hangar. 8 Members discussed the December meeting and decided on a quiz, buffet and Secret Santa presents. 9 Roy Sharman said that Ramsey 1940s weekend had been very good. He also attended the Great Dorset Steam Fair which was incredible. On the way back he stopped off at the Explosion Museum at Gosport, which was well worth a visit. 10 JU wondered if the pyrotechnics accident during a show at Audley End House would have repercussions. No-one had any information on this. 11 IG said he had been given a very old side-valve compression kit but no members wanted it. Date: 03-08-17. Venue: Aviator, Sywell. Apologies: Ian Gardiner, John Denney, Richard Hall. Present: Neill Elliott (chairman) plus 17 other members. The minutes of the 06-07-17 meeting were approved and signed. 1 NE said regrettably there would be no open day at East Carlton this year. John Underwood added that a repeat of the Poppy Road Run in November was possible. 2 NE said that John Denney had been asked to provide vehicles for an event involving disabled horse riders at Grafton Underwood on Saturday, August 12. 3 NE said John Marchant (MVT member 167) was celebrating his 90th birthday at his Old Stratford farm on Sunday, August 20, and he proposed a road run to the event, starting at Sywell. Five members indicated an interest in this. He said help was needed the day before to erect a 12x12 tent and Peter Clarke volunteered for this. 4 NE had been contacted by the chairman of Northamptonshire County Council with a view to supplying vehicles for a 1940s ball and dinner at Sywell on November 25. Members thought that those supplying vehicles should get free entry. Tim Hawkes offered to negotiate with the council on this. 5 NE said that the Deenethorpe veterans’ families had told him that the Jeep and Land Rover tour of the old airfield had been the highlight of their visit to England. They wanted to make a donation to a charity of our choice. After discussion, the Blind Veterans UK charity was nominated. PC said he had received, via our website, several messages of appreciation from the Americans. 6 NE reported that the North Oxfordshire MVT Area was promoting an on-line petition to save the chapel at Biggin Hill, following the ending of MoD funding. 7 NE introduced our guest speaker Mike Lousada, an MVT member who had taken part with his military vehicles in numerous films and TV shows. Mike bought his Austin K2 ambulance in 1987 for £600 and restored it. 13,102 were made but there are only 40 left in the world and just 14 on the road in the UK. Mike film’s credits included Operation Crossbow, starring George Peppard and Sophia Loren. He was cast as a German officer by the director Carlo Ponti, Loren’s husband. His ambulance and Humber staff car made regular appearances in Foyle’s War. Mike also appeared in The Imitation Game, which was shot at the former RAF Bicester, and this started an interest for him in the Bicester Heritage project. Date: 06-07-17. Venue: Aviator, Sywell. Apologies: None. Present: Ian Gardener (secretary) plus 23 other members. The minutes of the 06-06-17 meeting were approved and signed. 1 IG welcomed two new members. 2 IG said that the personal public liability insurance (PPLI) proposal had been passed by the MVT membership and membership fees would rise £10, partially to pay for this. Tim Hawkes added that the PPLI would begin on August 1. The new fees would start in September. A schedule of insurance would be on the wrapper of the next Windscreen. Members would have PPLI cover at any event they attended if they were there as part of a military theme. The insurance covered the individual, not the vehicle and did not include battle re-enactments. The MVT was the UK first vehicle club to have this. 3 Neill Elliott said that Wicksteed at War 17 had massive support from members and was a great success with exhibitors and stall holders very pleased. TH said the park was unhappy about grass damage caused by tanks and the club might look into providing plastic mats for manoeuvring areas. Other issues to be looked at included a better barrier on the sterile lane to the arena, vehicles moving without marshals and the tight turn by the level crossing. 4 NE showed members’ photographs of events at Wicksteed, Wartime in the Vale, Chicksands and Deenethorpe. The veterans’ families at Deenethorpe really appreciated their Jeep and Land Rover tour of the airfield. Mike Garnett said he could arrange a visit to the Chicksands Intelligence Museum at a date to be fixed. 5 Around 12 MVs attended the Shuttleworth Collection’s Military Pageant. 6 NE said MVs had been requested at the RBL Honour Walk on July 9. 7 Other summer shows were discussed. 8 IG reminded members that the guest speaker at August’s meeting was Mike Lousada, talking about his film work with MVs. 9 NE said there would be a celebration of John Marchant’s 90th birthday on either August 19 or 20 at his farm at Old Stratford. Members agreed on a short road run to his farm and a barbecue. 10 Around six members had pre-booked for the D-day 2019 tour. 11 Peter Clarke brought along post-war uniforms donated by David Parrish to be sold for the Army Benevolent Fund. Date: 06-06-17. Venue: Draughty tent, Wicksteed Park. Apologies: Simon Tasker. Present: Ian Gardener (secretary) plus 22 other members. 1 IG took names for the visit to RAF Chicksands and to see the Churchill film. 2 Neill Elliott took names to meet the USAAF veterans and families at Deenethorpe. 3 IG gave details of a GMC and trailer and Brockhouse Corgi for sale. Peter Clarke to put these on the website. 4 NE said Linda had once again volunteered to run a barbecue on the Wicksteed at War Saturday evening for area members and would do a Friday night chip run. She would also provide lunch refreshments for volunteers. He thanked her for this. 5 John Denney announced he was getting married on the Saturday of Wicksteed at War. It would take place in the Celebration Suite at 4.30pm and move to the Victory Party in the evening. 6 NE said the guest speaker at the July meeting at Sywell would be Mike Lousada on his film work, his K2 Ambulance and Bicester Heritage. 7 Wicksteed at War: Tim Hawkes went through the arrangements for Wicksteed at War, including the Friday schools day. Armourer Tom Webster would be located in a locked compound with live weapons. TH had run this past the police and council and all were happy with the arrangements. NE was in charge of volunteers and intended to rotate them around the site if they wanted this. He asked volunteers to report to the MVT tent at 8.30am both days to be allocated duties. Roy Sharman asked what would happen if someone who had not booked in failed to produce their insurance or driving licence. TH said they would be refused entry to the vehicle field and asked to use the public car park. John Underwood asked members to be alert to any security issues, bearing on mind what happened recently in Manchester and London. 8 NE reminded members of the Bedford RBL Honour Walk on July 8, 10am-4pm. 9 TH said spaces were still available for RIAT. 10 JD said that long time MVT member John Marchant would be 90 in July and we could perhaps have an event at his farm to mark the occasion. PC said that John was the grandfather of the military vehicle preservation movement. Date: 04-05-17. Venue: Carpetbaggers Museum, Harrington Airfield.Apologies: Ian Gardiner, Peter Clarke, Garry Stock, George and Caroline Jackson. Present: Neill Elliott (chairman) plus 20 other members. 1 We were made most welcome by Fred West and Keith Taylor of the museum. They gave us a very detailed presentation of the workings of the airfield and really brought it to life. With over 70 aircraft and some 5,000 men, it must have been a hive of activity supplying the French Resistance and agents, all done in total secrecy. The visit was much appreciated by all. 2 Neil Elliot ran through the current events list noting: Visit to Chicksands (details next meeting from their Military Liaison Officer); Wicksteed at War (the camping issue has been resolved with a small area reserved for MVT members, however Caroline Jackson continues to be unhappy with these arrangements. ); Deenthorpe visit Thursday, July 5 (times TBA). 3 Next meeting will be on Tuesday, June 6, at Wicksteed Park. Date: 06-04-17. Venue: Aviator, Sywell Aerodrome. Apologies: George and Caroline Jackson, Martin Sansom, Andy Speechley. Present: Ian Gardiner (secretary), plus 20 other members. The minutes of 02-03-17 were approved. 1 IG said seven SEM members attended the MVT AGM at Gaydon last week where there was a lively debate about public liability insurance for events and individuals. Tim Hawkes made an excellent presentation on the scheme and the vote would have been almost unanimous for the scheme but for proxy “no” votes. The motion was lost by 104 votes to 97. One area secretary brought along 76 “no” votes. There would now be a poll of the entire membership, with details in the next Windscreen and IG urged everyone to vote. 2 IG said he was surprised at the AGM to be awarded the Warwick Affredi Shield for area secretary of the year. He said it was in recognition of the area’s efforts with Wicksteed at War and leading the way in safety training and was earned by all the SEM members. 3 IG said the safety training day at Armourgeddon was a success. Tim Cross said he had spoken to members of CoM who attended and they were all impressed by it. 4 Neill Elliott introduced the guest speaker, Gordon Hall, a member of Sywell Aviation Museum and a retired police chief inspector who did his National Service in the RAF Police. Gordon is a Normandy Beaches tour guide and gave an informative talk on operations on D-Day and just after. 5 IG said we had been invited to attend Armed Forces Day at RAF Chicksands, Bedfordshire, by a serving officer who was also an MVT member. Kevin Lamberth said the museum at the base was excellent but that there might be security issues. PC said that, as this was a public Armed Forces Day and we had been invited, these could be overcome. Six or seven members were interested in attending. 6 IG reminded members of the opening of Sywell Aviation Museum on Easter Saturday and 20 members said they would attend. 7 NE said we had been invited by PC to a talk on an historic Hawker Hurricane, which had been recovered from India and was now based at the Shuttleworth Collection. The talk was at 7.30pm on Wednesday, April 12, at Bugbrooke Community Centre, admission £3. 8 IG reminded members that the May meeting was at Harrington Museum with a tour and film show. 9 IG said he had been asked to raise the issue of members’ caravans at Wicksteed at War as the park had raised the daily camping rate from £5 to £15. John Underwood said it was unreasonable to ask members to help run the event over three days when they had to pay the park £45 for the privilege. Tim Hawkes said he would take this up with the park with a view to providing low-cost or free camping in the camping field. 10 JU said he was thinking about another open day and road run based on his home in East Carlton. This received an enthusiastic response from members. Date: 02-03-17. Venue: Aviator, Sywell Aerodrome. Apologies: George and Caroline Jackson, Ross White. Present: Ian Gardiner (secretary), plus 18 other members. The minutes of 02-02-17 were approved. 1 IG said the Sywell Aviation Museum’s talk on the People’s Mosquito was supported by seven SEM members and Neill Elliott won the main raffle prize, a huge Airfix model Mosquito. 2 Brian Rive entered his Jeep in the MVT’s Wilkinson Sword mileage competition and came third with a total of 1,377 miles. The winner, another Jeep covered 2,916 miles and the second place went to a GMC with 1,795 miles. Brian received a round of applause for his effort. 3 Tim Hawkes reported that 39 members had signed up for the safety training day on March 19. They included members of CoM, area secretaries and representatives from our insurance company. IG said he would make a dummy to be run over by a tracked vehicle. NE commented that SEM was leading the way in safety training. 4 NE said Sywell Aviation Museum was opening on Easter Sunday and had welcomed MVs. Gates open at 0900 and the short opening ceremony was at 1030. The museum had offered a bangers and mash lunch to MVT members. Weather permitting, after lunch we would leave for a short road run. 5 IG said the guest speaker at the April meeting would be Gordon Hall, a Normandy tour guide. He reminded members that the May meeting was to be at Harrington Carpetbaggers Museum. Business would be kept short and then we would have a film and guided tour around the former USAAF base. TheJune meeting would be at Wicksteed Park, but on Tuesday, June 6. 6 IG again mentioned a rally for Vauxhalls, Opels and Bedfords on July 7-9 at Market Harborough. He would gather more information about this. 7 IG said that on Thursday, July 6, some veterans and their families were returning to the former USAAF base at Deenthorpe. This was the 75th anniversary of the Americans arriving. Vehicles were requested for transport. 8 NE distributed an events diary with details of local and national events. 9 Peter Clarke said he had been in touch with the organiser of the monthly classic car and bike meets at Earls Barton and she was happy to allot a space for MVT vehicles. The first meeting was on April 5, from 1630. 10 IG said he was pursuing an off-road opportunity at Billing, but there would be costs involved. A 4x4 group could be invited to share the cost. 11 IG said he and NE were looking at road runs later, possibly to Bicester Heritage. 12 TH said the MVT had started planning the D-Day tour for 2019 and he urged members to sign up as soon as they could. 13 Roy Sharman said War and Peace had moved back to the Hop Farm but with a new date. 14 PC reported that Heather Bailey had now been trained on how to update the mvtsem.com website. 15 Wicksteed at War 2017: NE said that help was still needed for marshalling, booking-in etc. PC commented that the cost of camping had risen from £15 for three days to £15 per day. TH said the MVT could do nothing about this but mentioned that military-style camping by vehicles was free. IG led a discussion on a possible road run during the weekend but the consensus was that this would be too difficult to fit in. 16 NE said the Norfolk area secretary had written to other area secretaries complaining at the CoM’s intention to raise membership fees by £10 per year to pay for individual public liability insurance. TH explained the reasons behind the move and PC pointed out that the Norfolk position was at odds with the SEM who had unanimously approved the idea at last month’s meeting. The motion will be discussed and voted on at the MVT AGM on April 2. Date: 02-02-17. Venue: Aviator, Sywell Aerodrome. Apologies: Richard Hall, George and Caroline Jackson, Gary Stock, Andy Speechley. Present: Ian Gardiner (secretary), plus 19 other members. The minutes of 01-12-16 were approved. 1 IG reviewed his first year as area secretary and went through some highlights, including Sywell Aviation Museum opening, Wicksteed at War, airfields road run, Poppy Appeal, Remembrance Day road run, Christmas party with a D-day veteran as guest speaker and the recent Roger’s Road Run. He said it had been an enjoyable year, if stressful at times. He thanked chairman Neill Elliott for his support and also Peter Clarke for looking after the website, minutes and Windscreen reports, Tim Cross and Kevin Lamberth for their photographs and Tim Hawkes for Wicksteed at War. 2 This being the AGM, IG handed the meeting over to NE, who thanked IG for his hard work, which was applauded by the meeting. NE nominated IG as area secretary and this was seconded by KL. There were no other nominations and IG was elected unanimously by all those present who were affiliated to the SE Midlands Area. 3 IG proposed NE as chairman, PC as webmaster, Heather Bailey as deputy webmaster and TH as Wicksteed at War show director. With no other nominations, were elected unanimously. 4 IG said Roger’s Road Run had been a success and several members had attended the recent Stoneleigh event. 5 Proposed 2017 events: IG said he had been in contact with a land owner at Billing who had an off-road course we could use, perhaps in conjunction with a road run. KL suggested the local 4x4 club could join us at Billing. Sywell Museum opening was on Easter Saturday. It was suggested we could leave after the opening for a short road run. Another road run was planned in south Northants, ending at Bicester Heritage. A trip to Chicksands was a possibility, as KL had contacts there. 6 TH outlined plans for the March 19 safety training day. Members of MVT CoM, area secretaries and event organisers had also been invited. Those passing the course would receive an orange MVT marshal 2017 vest. 7 IG said the Carpetbaggers Museum at Harrington had invited us back for a longer visit and he proposed the May 4 area meeting be held there and not at Sywell. This was agreed. 8 IG said we had been invited to take part in a show in July organised by the Bedford, Vauxhall and Opel Association. 9 There was discussion on the June area meeting and it was decided that this would be at Wicksteed Park on Tuesday, June 6. 10 TH reported on CoM matters. He asked members to please affiliate to their local area. He ran through a new insurance policy for the whole of the MVT. This included coverage for road runs, school visits, village shows and larger events, provided he was notified beforehand via a form on the main MVT website. As part of this cover, all MVs should contain a fire extinguisher, first aid box, wheel chocks and drivers must have their driving licence, insurance documentation and abide by the MVT code of conduct. 11 TH said the CoM had been looking at individual public liability insurancefor members. A proposal before the MVT AGM would be to provide this with a £10 increase in the membership fee. After discussion of this, PC proposed a straw poll be taken and this showed all in favour of the CoM proposal. 12 IG said he was pursuing guest speakers. 13 NE said that on July 6 veterans and relatives were visiting Deenethorpe airfield and some MVs were requested. 14 IG said that the Earls Barton classic car meets resumed in April and it was suggested we arrive together and park in a club area. PC said he would contact the organisers and ask for a reserved area. 15 IG said the MVT AGM was at Gaydon on April 2. 16 TH said War and Peace was to return to the Hop Farm at Beltring on July 25-29. 17 NE said the Royal British Legion had invited us to their Honour Walk in Bedford on July 8. Tim Cross said we had supported the Northampton event in previous years but KL said this has clashed with Wicksteed at War last year. 18 NE reminded members about the mileage award, open to all MVs. IG was looking at providing a suitable trophy. 19 IG said George and Caroline Jackson and Gary Stock had attended a schools day in Milton Keynes with a Ferret, Jeep and GMC and had been well received. Date: 01-12-16. Venue: Aviator, Sywell Aerodrome. Apologies: None given.Present: Ian Gardiner (secretary), plus 22 other members. The minutes of 03-11-16 were approved. 1 I G welcomed guest speaker Arthur Jones and his friend Steve Harper. 2 IG said there were 16 MVs on a very successful Remembrance Day road run and members thanked John and Judith Underwood for arranging this. 3 IG reminded members about Roger’s Road Run on January 22 and said details were on the area website. 4 Tim Hawkes passed around the 2017 MVT calendar which included many SEM vehicles. 5 TH said the CoM had approved funding for Wicksteed at War 2017 and had made significant progress on public liability insurance for MVs at shows. Details would be released at the club’s AGM. 6 IG said Operation Poppy in Northampton town centre had raised £1,832.33. 7 IG proposed that SEM area should have its own version of the MVT’s Wilkinson Sword award for furthest distance travelled to shows and meets during a year. Members agreed that this should be open to all ages of vehicles, not just wartime. The award would start on January 1, 2017, and run until December 31, with the winner announced at the February 2018 meeting. Members should keep a tally of mileage and shows attended. 8 Arthur Jones entertained with two love stories, one his mother’s love for her son and the other the love of a family in France who took him in when his Sherman tank broke down. Arthur joined the army in 1944, aged 18, and, after just a few weeks learning to drive a tank, landed at Gold Beach on D+7. His was an observation post tank and had a dummy gun! He ended the war in Bremen, aged 19, but was not demobbed until 1947. He and a friend traced the family who had looked after him in 1944 and 62 years later there was a reunion, filmed by Central News TV. 9 The buffet was served and secret Santa presents exchanged. 10 IG reminded members there was no area meeting in January. Date: 03-11-16. Venue: Aviator, Sywell Aerodrome. Apologies: Richard Hill, John Denney, Steve Smith, Martin Sansom. Present: Ian Gardiner (secretary), plus 14 other members. The minutes of 06-10-16 were approved. 1 IG thanked Tim Cross for taking last month’s minutes in the absence of Peter Clarke, who was on holiday. 2 IG said we would have vehicles once again in Northampton town centre for the Poppy Appeal on Saturdays, November 5 and 12. TC, who was organising this, took names. Tim Hawkes, CoM member responsible for health and safety, reminded members that each vehicle should have wheel chocks, fire extinguisher and insurance documents. The public should not be allowed in the vehicles and they should be either roped off or manned continuously. If these conditions were met, any liability would be covered by the MVT’s insurance. 3 John Underwood’s road run on November 13 was promoted (details on the area website). 4 IG said the December 1 area meeting would be busy, with a buffet, a talk from D-Day veteran Arthur Jones, and a raffle. The meeting thought there would be no time for the usual quiz. IG was talking to The Aviator about buffet prices and the cheapest was £8.95 per head. 5 There was discussion on SE Midlands petty cash and how we could retrieve it from central funds. Conflicting advice was being given and TH said he would investigate. 6 PC reported Roger’s Road Run would either be on Sunday, January 15 or 22. As soon as he heard from Roger, he would post details on the area website. 7 IG said he had been looking at an area visit to the Normandy beaches. Prices for the ferry depended on the vehicle, date, number of people etc. Gary Stock said ballpark figures were £1,000 for a GMC, £500 for a Dodge and £350 for a Jeep. The Poole-Cherbourg route was the cheapest. After discussion, the consensus was that mid-September was favourite. IG to continue working on this. 8 Members reported that Stoke Bruerne Village at War was a good show but there were doubts whether it would run again next year. 9 IG said the deadline for Wilkinson Sword mileage entries was January 31 and members urged Brian Rive to apply. 10 IG urged members to affiliate to the SE Midlands Area. PC said details on how to do this were at the bottom the area website home page and on the main MVT website. 11 PC said Heather Bailey had volunteered to be the back-up webmaster (mistress?) and he would be training her later. 12 TH said he had storage space for a vehicle in Cransley for £40 a month. 13 Neill Elliott showed some pictures he had taken in the early 70s of MVs at Lulworth and Bovington. Date: 06-10-16. Venue: Aviator, Sywell Aerodrome. Apologies: Peter Clarke, George Jackson, Caroline Jackson. Present: Ian Gardiner (secretary), plus 18 other members. The minutes of 04-08-16 were approved. 1 Kevin Lamberth (RBL) has now joined the MVT and brought along Vaughn Glynn (Poppy Appeal organiser) and Dave Parrish MBE (speaker who stepped in at the last minute). 2 There was a report on the Holme Hall run with just three vehicles attending (low number due to some non-starters). A good event but spoilt by weather. 3 Tim Cross had a good response from members who would like to bring their vehicles into Northampton for the Poppy Appeal days, Saturdays, November 5 and 12. 4 John Underwood outlined his Remembrance Day run which attracted considerable potential support. 5 Tim Hawkes gave an update of the Wicksteed at War 2017 theme which is Vietnam and 100 years of the British Cavalry, plus battle scenes including WW2. It is intended to invite members from other areas to join the March training day. John Underwood suggested adding fire extinguisher training if some out-of-date ones can be found to let off. A request was made for some more marshals for next year. 6 IG asked if it would be possible to have an assistant for updating the web in Peter Clarke's absence and Heather Bailey offered to help. 7 Dave Parrish gave a very good talk with slides about the Unknown Warrior, which was much appreciated by all. Dave said that if we needed another speaker in the future, he had contacts. Date: 01-09-16 Venue: Aviator, Sywell Aerodrome. Apologies: Neill Elliott, Andy Speechley Present: Ian Gardiner (secretary), plus 15 other members. The minutes of 04-08-16 were approved. 1 IG said the scheduled speaker for this meeting had been taken ill so the talk was postponed until next year. 2 IG said he thought the airfields road run went well and all agreed. The Harrington Museum volunteers were keen to have us back for a proper tour and talk, which could take the place of a regular monthly meeting. IG to pursue. 3 The Holme Front road run was planned for October 1. IG proposed two meeting points along the way and to park in the event’s public car park, because, as reported in previous minutes, the organisers wanted all participants in place by 9am with no movements until the show ended. By using the car park we could come and go as we pleased. Details to go on the area website. 4 Members attended the Tanks, Truck and Firepower event which was enjoyed despite a torrential downpour. Some planned to go to the Victory Show in Leicestershire this weekend. 5 IG said the speaker for October’s monthly meeting was a good one and urged members not to miss it. The December speaker would be D-day veteran Arthur Jones. 6 IG said he had been thinking about a short area tour to Normandy. After discussion, the consensus was that a weekend was not long enough to see everything and to get value for money for the ferry fare. At least a week was needed. Tim Hawkes said the CoM was already making plans for the 2019 tour; IG to contact Rex War or Isaac Preston to see if a group booking was possible. IG said he would give more thought to a smaller tour before 2019. 7 Peter Clarke handed out some cuttings about the early days of the area, which had been sent to him by Steve Gascoigne, the founder-secretary of SEM Area. 8 Roy Sharman handed out a list of tools and spares available for a charity donation. 9 TH said the CoM was making progress with its investigation to provide public liability for static vehicles at shows. Caroline Jackson said she and George’s public liability and display items were covered on their household insurance. She urged members not to be covered by two separate policies, which could lead to complications in the event of a claim. 10 John Underwood gave details of the Remembrance Sunday road run on November 13. Vehicles would meet at his house for coffee, leaving at 9.30am for Weldon memorial. Then a scenic drive back to his house for lunch and a look at his museum before driving to the Deenthorpe memorial. The event would end around 3pm and members would make their own way home. Details, with addresses and a postcode to be put on the area website. Date: 04-08-16 Venue: Aviator, Sywell Aerodrome. Apologies: Tim Hawkes, Brian Rive. Present: Ian Gardiner (secretary), Neill Elliott (chairman), plus 18 other members. New member Stephen Myles was welcomed. The minutes of 07-07-16 were approved. 1 IG gave details of the road run on Sunday, August 7, which would start from Harrington, taking in Desborough, Grafton Underwood and Thurleigh. Tim Cross was asked to take pictures, including a group shot, for the area website and Windscreen. The TTS group had also been invited. 2 After discussion, it was decided that the second road run on October 1 would be to the Holme Front event. MVs would use the public car park and would not actually be part of the event, as this would mean us being on site from 9.30am to 4.30pm. 3 IG said he had attended a debrief on Wicksteed at War 2016 and had presented discussion points raised at the last area meeting. It was felt more marshals were needed and the arena layout tweaking. Next year efforts were to be made via social media to attract war-gamers. Wicksteed Park was pleased with the 2016 event. 4 Gary Stock said he had attended War and Peace. There were fewer MVs than previously but it was still an excellent event. 5 NE said he went to the Blitz Tearoom in Kettering and it was a good evening. 6 IG said the guest speaker for next month’s area meeting would be Mike Losada, talking about his K2 ambulance, film work and Bicester Heritage. The October speaker was a surprise but he urged members not to miss the meeting. For December, Steve Harper, the Shuttleworth Collection’s patron, would bring along D-day veteran and Sherman tank driver Arthur Jones. There would also be food. 7 Roy Sharman said he had gone on an Arhem battlefield tour and could recommend it. 8 RS had cleaned and categorised the donated 1950s tools and asked for a charity donation should members want any of them. 9 John Underwood said he went to the 1940s show at March, near Peterborough and suggested a road run to next year’s event. Post-war vehicles were also welcome. 10 JU said there would be no open day at East Carlton this year. 11 JU suggested a Remembrance road run on November 13 and would liaise with IG over this. 12 IG said he went to Normandy on business and took time off to visit battlefield sites and war cemeteries. He showed pictures and was thinking of organising an area visit to Normandy. Discussion took place and GS said the best time to visit for an anniversary of D-day, for instance the 75th anniversary in 2019. Steve Linnell said in his experience the best time to visit was when the area was quieter as you could get around much easier. Peter Clarke pointed out the MVT regularly organised tours of Normany so we could simply tag along on those. 13 NE had visited Tank Fest and showed pictures of tracked vehicles on display. 14 SL said he had a Bedford RL manual for sale via a friend for £20; PC to put an advertisement for it on the website. Date: 07-07-16 Venue: Aviator, Sywell Aerodrome. Apologies: Ian Gardiner, Richard Hall, Tim Hawkes, John Denney. Present: Neill Elliott, chairman, plus 12 other members. New member Gordon Woodham was welcomed. The minutes of 07-06-16 were approved. 1 Brian Rive and Heather Bailey attended the Shuttleworth CollectionMilitary Pageant and were made welcome. Tim Cross, Jim Poole and Peter Clarke attended the Northampton Armed Forces Day, met the Mayor and pictures had been sent to Windscreen. 2 Wicksteed at War. NE said he, IG and the show committee wanted to thank all those who helped to make the show superb this year. NE took suggestions for improvement for next year. NE canvassed opinion on the appearance of the vehicle display area and said several exhibitors wanted us to tighten up on procedures to make sure the area was purely military. After some discussion, members agreed that no civilian tents, trailers or caravans should be allowed in this area and the camping field should be used instead. Exhibitors should be encouraged to keep modern items, such as cool boxes, out of sight. Civilian vehicles must be moved away from the area by 9am. The procedures should be spelt out more clearly on entrance forms. No vote was taken but all were in agreement. NE said other MVT areas could be approached to help with marshalling and we could train them at Armourgeddon. 3 NE said the question of public liability insurance at shows was a dog’s dinner but the CoM was continuing to look into it. 4 NE said he and IG has arranged two road roads this year, Harrington to Thurleigh on Sunday, August 7, and a trip to Holme 40s weekend near Peterborough on Saturday, October 1. Another trip to Chicksands and Bicester was being planned. 5 NE said the CoM’s area liaison officer had asked for a list of vehicles SE Midlands members owned and this was compiled. She also needed to know about school visits, which we did occasionally. We also included the WaW education day. 6 Roy Sharman mentioned a 1940s day at Rothwell on July 9 and said the dates for the Dorset Steam Fair had been changed this year. 7 NE said four speakers had been lined up for monthly meetings: Provisional - August, a serving Chinook helicopter mechanic; Booked - September, Mike Losada, whose K2 ambulance has appeared in 26 films and has carried John Mills; October, booked - a surprise but not to be missed; December, Christmas buffet and (booked) Arthur Jones, D-day Sherman tank driver. 8 NE brought in some donated tools and invited members to help themselves. Date: 07-06-16 Venue: a leaky 12x12 tent, Wicksteed Park in a thunderstorm. Apologies: Simon Tasker, John Denney, George and Caroline Jackson, Present: Ian Gardiner, secretary, Neill Elliott, chairman, plus 16 other members. The minutes of 05-05-16 were approved. 1 IG said he was working on road runs and the first would be in July or August, perhaps to Thurleigh. The Military Intelligence Museum at Chicksands was also a possibility. More details at the next meeting. 2 Saturday, June 18, was Armed Forces Day at Rushden, said IG, with steam trains, a drive through the town and a flypast. Details were on the website. The Armed Forces Day at Northampton was on June 25 and Tim Cross was co-ordinating the small number of vehicles needed on the Market Square. 3 IG was still working on the Shuttleworth Collection visit but communication was difficult. For the Military Pageant on July 3, Shuttleworth needed names of drivers plus type and age of vehicles. If we did this and became part of the show, entrance for a driver plus one would be free. If not, we could still attend for a reduced group rate of £22.50 each. Names were taken of those who wanted to go. 4 Investigation into public liability insurance while static at a show was continuing. Tim Hawkes said the issue was cloudy and it was a work in progress. 5 IG said the CoM had appointed area liaison officers to work with areas. 6 IG said a Chinook helicopter ground crew warrant officer has been lined up to give a talk in the future. 7 Someone had offered IG some WW2 tools, which he would bring to the next meeting. 8 NE said he had been in contact with the North Oxfordshire area with a view to participating in the Flywheel event at Bicester on August 12. MVT vehicles would be admitted free. Details to be put on the website later. 9 Other diary dates were discussed and these would be put on the website. 10 Wicksteed at War: NE went through layout changes and signing in procedures for the show. Andy Speechley said there would a marked-off lane to bring vehicles from the vehicle field to the arena. TH said that if a vehicle arriving had a V16 sign, it meant it had pre-booked and the driver’s licence and insurance had been checked. If vehicles turned up without booking, licences and insurance should be produced. If this was not available, there was a declaration form to be filled in. TH said that the offer of an alternative to the Saturday Victory Dance had been withdrawn by Wicksteed Park but members could get discounted tickets to the dance by quoting “Save 5”. TH said that Wicksteed management was keen on the “Disneyfication” of the park during the show, which meant civilian vehicles and caravans should not be near the display areas. The only exception was traders’ vans, which had to be near their stalls. He said marshals could help in clearing civilian cars from the vehicle display field by 9am. Peter Clarke said he was happy to pay £15 to put his caravan in the camping field but would be annoyed if others were allowed to pitch nearer the show for free. TH said that for next year he would look into hiring a section of field for MVT members’ caravans and civilian tents. Date: 05-05-16 Venue: Aviator, Sywell Apologies: None. Present: Ian Gardiner, secretary, Neill Elliott, chairman, Caroline Jackson, treasurer, plus 18 other members. IG welcomed new member Steve Miles. The minutes of 07-04-16 were approved. 1 IG said there were 161 members of the South East Midlands Area but only 24 had so far affiliated to the area. 2 IG said that now SEM was a “dry” area, with its funds being held by the central MVT, there was no longer a role for a treasurer. He would administer the £250 the area was allowed. 3 IG said he had been in touch with the North Lancs area which had negotiated a deal for public liability insurance for members when vehicles were stationery and on display at shows. It would cost about £5 per year. A show of hands revealed most members were interested in this and details of how to apply would be placed on the area website later. 5 IG was still talking to Shuttleworth about participation in the Military Pageant on July 3 but the collection was busy with another major project and we were still waiting the go-ahead. Details would go on the area website as soon as possible. Caroline Jackson said the Beds Steam Rally, held in the park at Shuttleworth in September, was well worth attending. Gordon Beale organised the MV element but pre-booking was necessary. 6 IG said the road run to Thurleigh would be in August, date to be arranged. 7 IG, NE, Tim Hawkes and former area treasurer Peter Hamblin attended the MVT AGM on April 24 and therefore made up some 10 per cent of the total 40 attendees. NE said TH was awarded the Chairman’s Trophy for his work as events and safety co-ordinator. The meeting applauded Tim’s efforts. 8 IG said he had discovered 24 WW2 bases within a 25 mile radius of Sywell and would like to organise a series of road runs to look at them. The meeting thought runs of 40-50 miles should be the maximum. The first might take place in August. 9 The open day at John and Judith Underwood’s private museum might not be possible due to family commitments but if it did take place, it would be a lower-key affair. 10 NE said Wicksteed at War preparations were progressing well and the Checkpoint Charlie recreation was taking shape. Sandbags were to be filled with wood chippings and help was needed to do this on June 4-5 at a Bozeat timber yard. Vehicles and re-enactors from the period 1961-65 were still needed. Andy Speechley said the arena display would include a WW2 battle, a CVRT pull and a Vietnam War display. TH said there would be a Purple Heart disco on the Friday night. Discounted tickets at £7.50 for the Saturday night dance were available from Wicksteed Park by quoting the code “Save 5”. For those not wanting to attend this, the Celebration Suite bar would be open at no cost. NE said the next area meeting would be on Tuesday, June 7, at the Celebration Suite, Wicksteed Park, not at Sywell. CJ asked about barbecues on site for members and members indicated they would welcome this on the Friday and Saturday evenings. She and Lyn Hall would look at this. TH said there would be more on-site catering this year. 11 NE distributed various MV-related magazines he thought members would be interested in and asked what website and forums they followed. 12 PC said that more members should be affiliated to the SEM Area. It was easy to do this on the internet and instructions were on the area website and the main MVT website. 13 PC said he would email members when the area website was updated if they sent him their email address and membership number. 14 Andy Speechley showed a replica Browning 50 calibre machine gun which he was converting to fire using oxygen and propane. Solenoids and printed circuit boards should give it a realistic rate of fire. He was looking for a vehicle on which to mount it for Wicksteed. Apologies: John Denney, Tim Hawkes. Present: Ian Gardiner, secretary, Neill Elliott, chairman, Caroline Jackson, treasurer, plus 17 other members. 1 Two new members, Dave and Keith, who had volunteered for Wicksteed at War safety training, were welcomed. 2 Past events: NE said the opening of Sywell Aviation Museum on Easter Saturday had gone well despite the cold wind and a lack of aircraft. Simon Tasker said he had enjoyed the Soviet Threat weekend at the Hack Green Bunker. Peter Clarke said he had attended the Earls Barton classic car meet the previous day and had asked the owner of a 1960 Auto Union sports car to come to Wicksteed. 3 A quiz compiled by NE was won by Andy Speechley and Alan Farren. 4 Wicksteed at War: NE reported that everything was progressing well with Checkpoint Charlie being built and a good selection of vehicles and re-enactors booked so far. The June monthly meeting will be held on Tuesday, June 7, at the Celebration Suite at Wicksteed Park, not at Sywell, to tie up any loose ends. Because of the different layout this year, caravans would have to be left at the park’s caravan field. CJ objected to this and NE said he would refer this to TH. 5 IG said he and NE had attended the MVT CoM roadshow at Peterborough which explained the changes to areas’ financial dealings due to the Charities Act. Only 20 members turned up. PC said he decided not to go because he was happy with the new arrangements. IG said that the MVT areas had gone from 51 down to 34 as some areas were not compliant with the law and some had not responded to instructions from the CoM. NE said he asked the CoM whether guest speakers could be paid out of the MVT central fund and was told this was OK as long as the talk was educational. 6 NE and IG would welcome suggestions for guest speakers. Arthur Jones, the D-day veteran was a possibility, as was someone from Sywell Aviation Museum. 7 Forthcoming events: IG outlined several MV-related events, near and far. Discussions about a return to the Shuttleworth Collection were ongoing. He and Richard Hall were looking at a visit to Thurleigh Museum, combined with a road run. Other ideas included a trip to Armourgeddon, perhaps with some off-roading, a look at the workshop and tank driving at special rates. 8 Tim Cross reported that the Molesworth hangar dance had been cancelled. Present: Ian Gardiner, secretary, Neill Elliott, chairman, plus 13 other members. IG reminded members of the safety training day at Armourgeddon on March 13, 9am-1pm. Tim Hawkes said there were five new volunteers, in response to a Facebook appeal. TH said the date for Arthur Smith’s drive in a Sherman had not yet been fixed but it was likely to be either March 9 or 10 at Bruce Crompton’s place in Norfolk. Members were welcome to go along. PC mentioned National Drive-it Day on April 24. There was a big rally at the Husbands Bosworth Gliding Centre. TH said this clashed with the MVT AGM at Gaydon and members might want to drive to that. IG said he was talking to the Shuttleworth Collection about taking part in their Military Pageant on July 3. More details later. TH gave his MVT CoM update: the chairman, secretary and treasurer were touring the country to explain how charity status affected the way we held our funds. The SE Midlands Area had no issues with this. The rules on vehicle registration had changed and if a vehicle contained more than 25 per cent new or non-original parts, it would be given a Q-plate. This would include Jeeps with a new body tub. He recommended getting vehicles registered before replacing large parts. The CoM has decided that it was not the MVT’s placed to lobby on proposed new gun legislation as we were a vehicle club, not a gun club. Other members pointed out that automatic weapons were an integral part of some vehicles, for instance certain marks of Ferret, so we had a vested interest in the outcome. There was a heavy workload for verification officers, particularly from dealers, who sometimes didn’t appreciate that this was being done voluntarily. The MVT chairman and treasurer would be stepping down at the AGM. Wicksteed at War: NE said Checkpoint Charlie was being built by a firm in Wellingborough but we needed help in producing signs. He had found an East German Border Guard re-enactor but more were needed to represent Russians, East Germans and Americans. Civilian vehicles were also needed and he urged members to put out feelers. TH said a Spitfire had been promised for a ground display with the possibility of a Me Bf 109. NE said help would be needed at Wicksteed in the week before the show. TH said there would again be a Friday night Purple Heart Vietnam era disco and a Saturday ball. NE and IG said they had been looking at ideas for growing the area and had come up with some ideas, including a visit to a F1 factory at Silverstone, a BBQ, summer road run, visits to Thurleigh, Bedford autodrome and clay shooting. They welcomed other suggestions. Roy Sharman said he missed the speakers we used to have at most monthly meetings. Members wanted to support John Underwood’s open day again and suggested attending the monthly classic car meets at Earls Barton. Peter Clarke to put this on the webpage diary. Richard Hall said the large US hanger at Duxford was due to reopen soon and was well worth a visit. Tim Cross said he and Jim Poole attended the funeral of ex-area secretary Brian Shoebridge with their Jeep and Bedford MW. His family was very grateful and were sending a donation to the Royal British Legion. Heather Bailey said she was looking for dry storage for her Standard staff car and members promised to help. NE appealed for more members to send material for the area website, particularly projects and vehicles. Members were notified of various local shows worth attending (see Diary Dates section). John Denney said the road run had been very enjoyable and the Milton Keynes Museum was well worth another visit. Thanks went to Roger Higgerson and co for organising this. Tim Hawkes reminded members of the marshals’ safety day at Armourgeddon, Husbands Bosworth, on March 13. Wicksteed at War 2016: TH said we now had British, German, American and Italian re-enactors booked but that we wanted early 1960s’ uniform groups for the Checkpoint Charlie recreation. The Facebook Events page indicated that more than 2,500 intended to attend and it had attracted six more volunteers for marshaling duties, who would be trained at Armourgeddon. AGM: JD and TH reminded that we were now a “dry” area, in that all our funds, apart from some ready cash, were held by the central MVT but we had easy access to them provided we went about it in the correct way. JD said he wished to stand down as secretary but would carry on as a verification officer and would still be on hand to help his successors. Ian Gardiner was proposed as secretary by Peter Clarke, seconded by Simon Tasker and voted in unanimously. Neill Elliott was proposed as chairman by TH, seconded by George Jackson and voted in unanimously. Caroline Jackson was proposed as treasurer by TH, seconded by GJ and voted in unanimously. PC volunteered to write area reports for Windscreen and was thanked for his efforts with the area website. AOB: PC said we had been invited to return to the Shuttleworth Collectionduring a flying day. IG to liaise with Shuttleworth. Kevin Lamberth gave an illustrated talk on his recent visit to the Auschwitz and Birkenau concentration camps in Poland and was thanked by members. We had a buffet meal and John Denney was thanked in his absence for organising this. It was followed by a raffle and a fiendishly difficult quiz compiled by Ian Gardiner and won by George Jackson and Tim Hawkes. Proposed legislation could mean vehicles fitted with a new body would be classed as new vehicles and given a Q registration plate. This would apply to Jeeps given a reproduction body. There has been a large spike in vehicle verification requests due to imports from the USA and Russia and our volunteer verification officers were being swamped. Those responsible for the Paris attacks were found to have used formerly deactivated firearms. This could have repercussions and the future of all deactivated weapons could be in question. Funding for shows in 2016 was discussed. The area asked for £8,000 and this was granted by the CoM. Lots of members had not affiliated to their local areas This was easy to do on line via the main MVT website. Wicksteed at War 2016: TH said the park was running the Saturday evening 1940s entertainment and he has asked for free tickets for members. This saves us money to spend on other things. There would again be a 1970s- themed disco on the Friday evening. The show would have a Cold War theme and it was proposed that a replica Checkpoint Charlie be built. Post-war vehicles were needed for this. Neil Elliot would run this. We were trying to get a replica Spitfire and its re-enactment group. There would be a safety training day in March. John Underwood thanked TH for all his efforts as show director and members applauded this. Roger’s Road Run would be on Sunday, January 24, and details were on the area website. Operation Poppy in Northampton town centre this year raised £2,254 for the RBL. Members sang Happy Birthday to TH to mark his 40th. Richard Hall said that Ken Haverson’s widow was grateful for messages of condolences following his death. There would be no meeting in January and February’s would be the area AGM.